Big exciting news today!!! 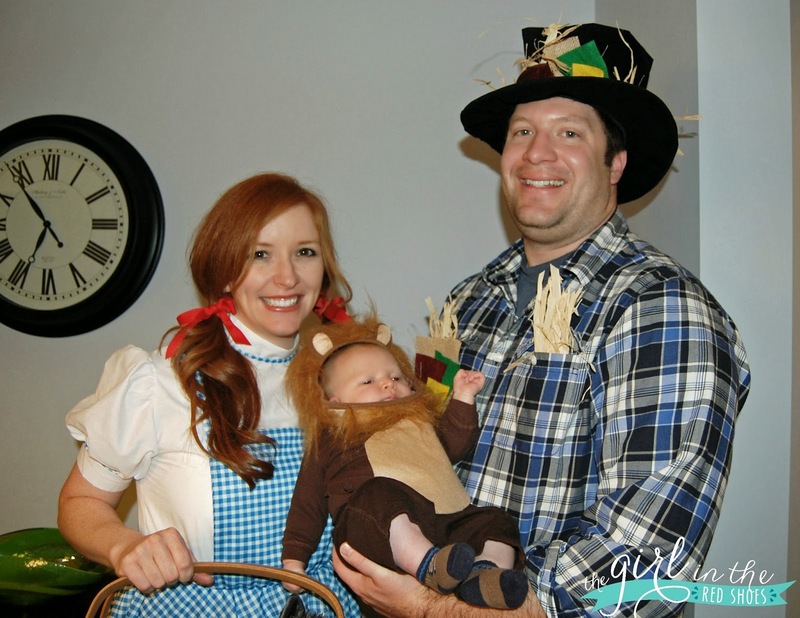 There’s nothing more fun than little kids dressed up for Halloween….am I right? Since we can’t all go trick or treating together, let’s have a virtual Halloween Costume Party!!! 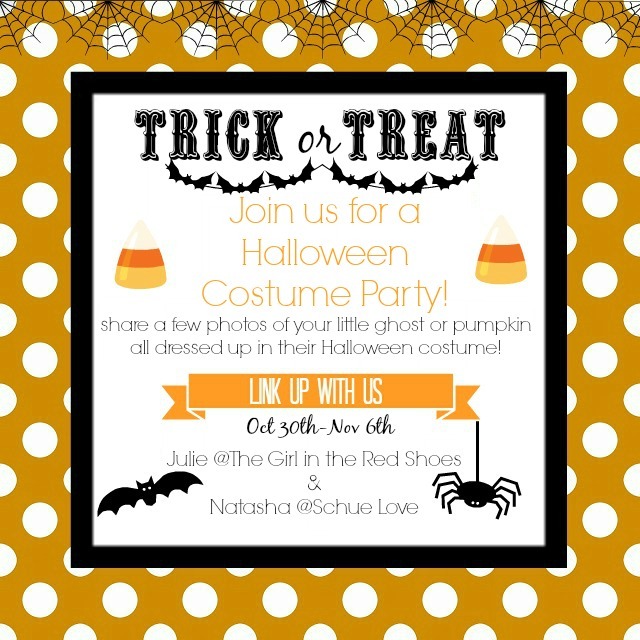 Natasha from Schue Love and I will be your hosts and we can’t wait to see your little ones in their Halloween costumes! Bonus points if mom and dad get dressed up too! 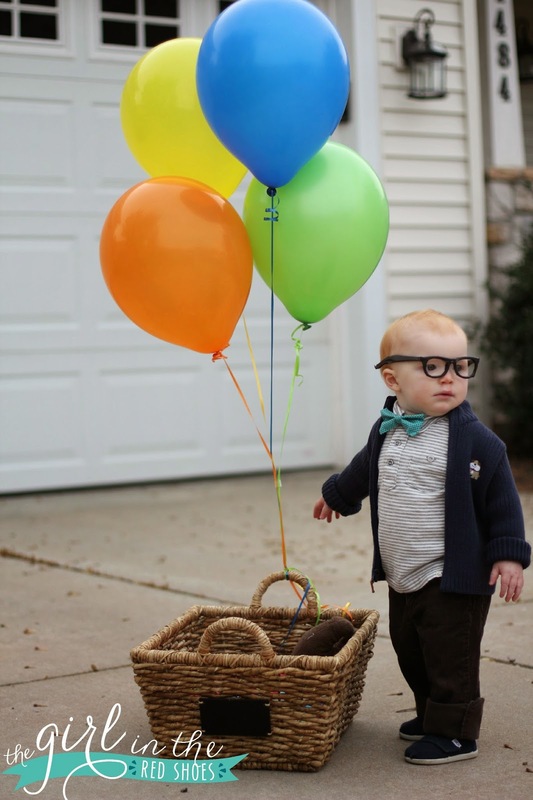 Remember Hudson’s “UP” costume from last year? We are so excited! The link up will take place right here and on Natasha’s blog starting October 30th for you early birds and go until November 6th. Copy and paste that little bit of code above in to your blog post and then link it up with us. We can’t wait! Who’s going to join us? So cute!Can't wait! PS love the Up costume! Well. Cinderella does. But still. And I miss that squishy little lion! Great idea! I'll definitely be linking up! Yayyy!! We're going to have so much fun!!! Shall we talk about how stinking excited I am about this?? This is my little guys first Halloween and I know it will be one for the books! Thanks for the party invite! Can't wait to see all the cute costumes this year!! Oh my gosh so fun!!! I'm in!! LOVE his UP costume from last year! Love this idea! Can't wait to join up!! I absolutely love Hudson's costume from last year- so adorable! Looking forward to seeing his costume again this year and linking up!